Or simply ask us and we can help design your dream trip on the water – let’s build lasting memories! 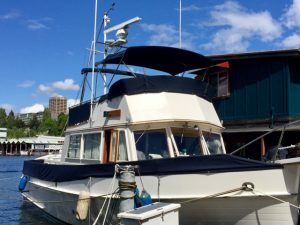 Your Custom Cruise begins aboard the Rainbird at the centrally located Pock Rowing Center adjacent to Portage Bay Park featuring easy access and ample parking. We’ll leave the hustle and bustle behind as we set out on our leisurely cruise in the comfort of our beautiful custom and classic wooden yacht, the Rainbird. Take in the incredible views of the City and beautiful St. Mark’s Cathedral as we travel east to Portage Bay. On our way through the Montlake Cut to Lake Washington, marvel at Husky Football Stadium, UW Campus, and snowcapped Cascade Mountains in the distance. 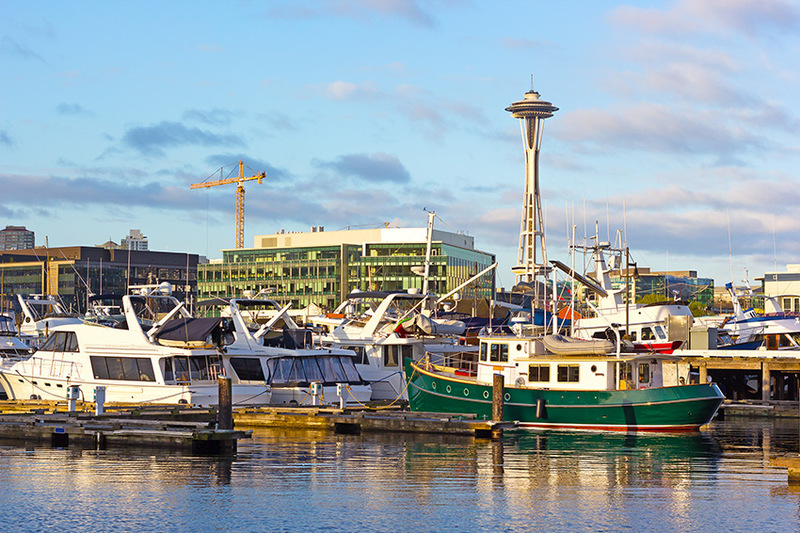 Enjoy the Locks, Puget Sound, The Islands, Marine Mammals, it’s your call on this Custom Cruise. Make your experience even better by adding a picnic breakfast, lunch, or dinner to your cruise. We feature award winning, delicious breakfast sandwiches, pastries or hot sandwiches picked up fresh from the bakery at Fisherman’s Terminal – nestled amongst Alaskan fishing vessels, including those featured on “the Deadliest Catch” (hint: ask your Captain about his 10 years in Alaska as a skipper). Design your ideal day or evening cruise. Experience Seattle from the water while enjoying your choice of a mimosa, cold beer, or glass of fine Washington wine (or high quality H2o).